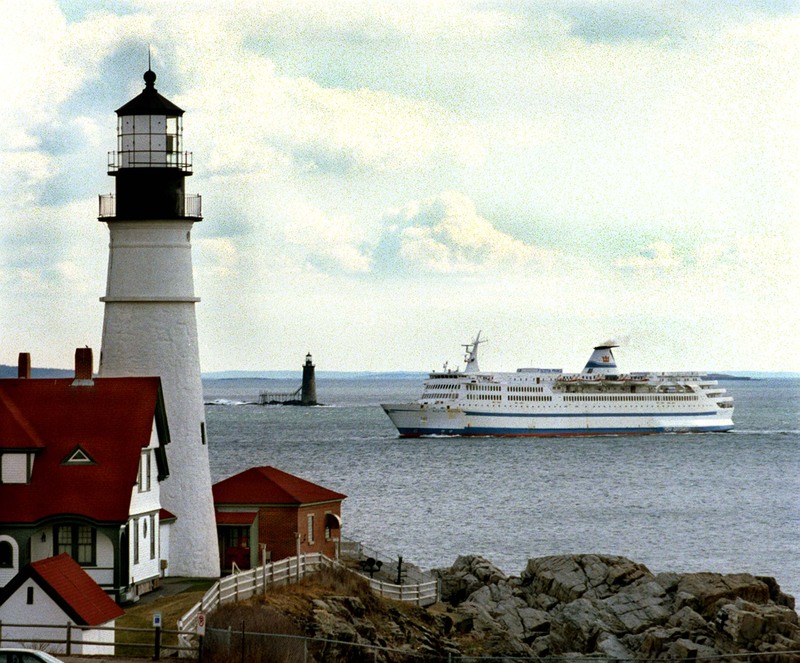 A Press Herald file photograph of the Scotia Prince ferry entering Portland Harbor in 1997. The Scotia Prince, the overnight ferry that ran between Portland and Yarmouth from 1982 to 2004, returns to Portland for the summer season in this Press Herald file photo from April 8, 1997. Portland Head Light is in the foreground, and Ram Island Light is in the background.